Quality control (QC) refers to the process wherein different entities work in reviewing and analyzing the quality of all the factors and elements that play major roles in the field of production. It is known as the process used in ensuring that a specific level of quality is reached when producing products or developing services. It encompasses all actions that are essential in providing the best control and verification for all the characteristics of different products and services. It also includes the act of thoroughly examining, analyzing and testing product quality as well as the quality of the results of each offered service. One of the major objectives of quality control is to make sure that all offered products and services meet certain characteristics and requirements including being safe, satisfactory, fiscally sound and dependable. If you dream of becoming an expert in the field of quality control, then you should keep in mind that this process puts emphasis on three major aspects. Among these are elements including job management, controls, well-managed and defined processes, records identification and integrity and performance criteria, competence which covers skills, qualifications, experience and knowledge and soft elements that include personnel integrity, motivation, confidence, organizational culture, quality relationships and team spirit. Different business organizations that apply the quality control process in their operations especially in the field of production has a team which members focus on analyzing and testing numerous products and services and then observing each of them. The examination of products or services is usually performed randomly. The quality control certification program which is now available at Brainmeasures is highly recommended for you if you are one of those who longed to become one of the most renowned experts in the field of quality control. Through the quality control course offered by Brainmeasures, you can increase your chances of understanding all the major aspects related to this specific field. It allows you to undergo a highly reliable and comprehensive quality control training which covers all the most essential concepts related to quality control, its major elements and the different strategies that are proven to be effective in implementing the process. This quality control certification course makes it possible for you to understand even the most complex issues and concepts related to the field. This allows you to become a certified professional in quality control who knows exactly the procedures involved in the effective execution and implementation of the approach. 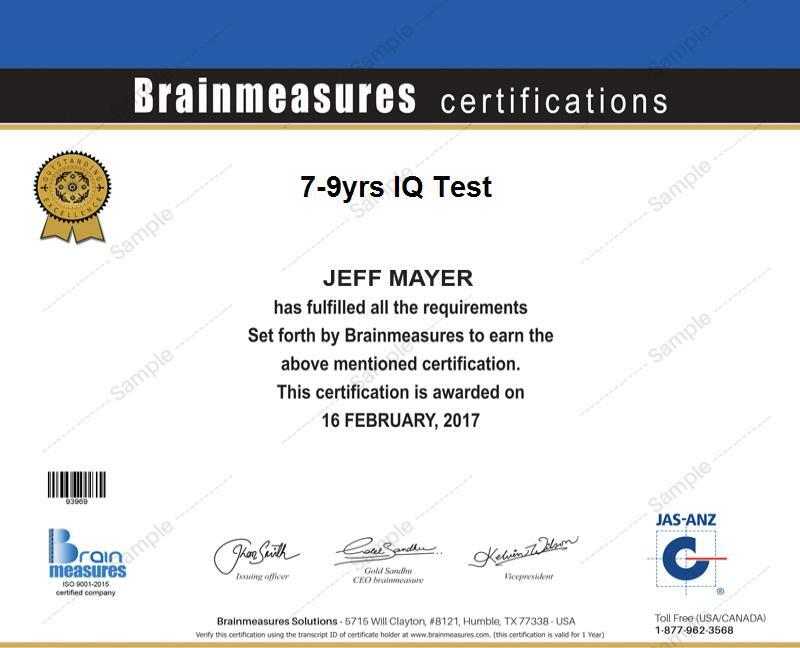 Receiving your quality control from Brainmeasures is a huge help when it comes to exposing your skills and expertise in this field. Considering the huge importance of implementing quality control in improving the performance of a business organization, it is no longer surprising if it continues to benefit hundreds and even thousands of individuals and professionals who dream of gaining a more comprehensive background about the field. It is more beneficial for managers, lecturers, engineers, researchers, supervisors, top-ranking organizational officials and any other individuals and professionals who want to significantly improve their knowledge about quality control. Being a quality control certification holder is also proven to be very rewarding considering the fact that it allows you to make dramatic and positive changes in your financial stability. With the help of your quality control certification, you can work as a quality control inspector which gives you the opportunity to earn around $39,000 to $68,000 per year. You can also use your certificate to work as a quality control manager which allows you to receive an annual salary of approximately $53,000 to $102,000. If you decide to work as a quality control consultant, then expect to earn within the range of $70,000 to $150,000 annually.